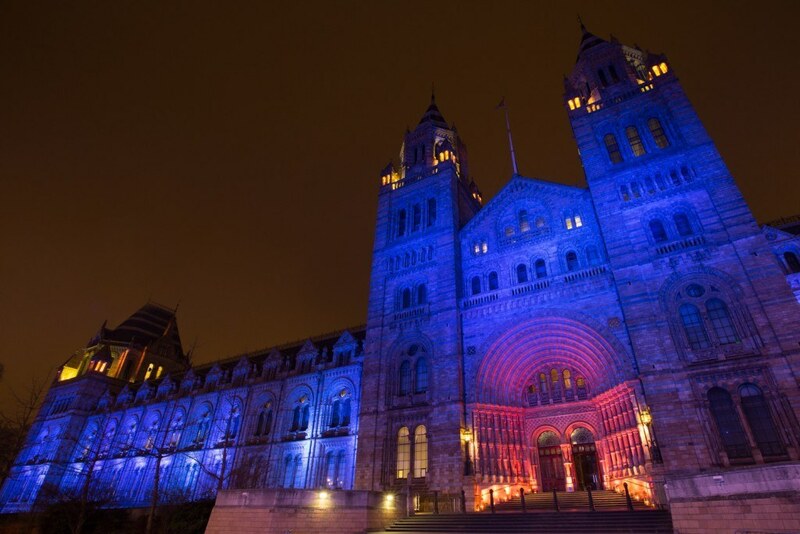 Iconic London venue, the Natural History Museum, re-opens its famous Hintze Hall event space following a jaw-dropping transformation which welcomes a blue whale skeleton to take pride of place. This week guests have had their first glace of Hope, the 25.2-metre blue whale swooping gracefully from the ceiling. The 4.5-tonne whale skeleton has replaced the much loved Dippy the Dinosaur as the central feature of the space and will be one of the first things visitors see when they enter the Museum. This fossil has been part of the museum’s world famous collection since 1891. Guests at events won’t fail to be blown away by the size and beauty of this creature, which is the largest animal ever known to have lived on the planet – movie monsters aside. This is part of the museum’s biggest transformation it its 136 year history which includes hundreds of new specimens which have been chosen to celebrate the wonder and beauty of the natural world, from the origins of the universe, to the story of evolution and the diversity in the world today. Ten choice specimens have also been arranged in ground floor alcoves – known as Wonder Bays – including a 4.5 billion-year-old meteorite and a Mantellisaurus skeleton. 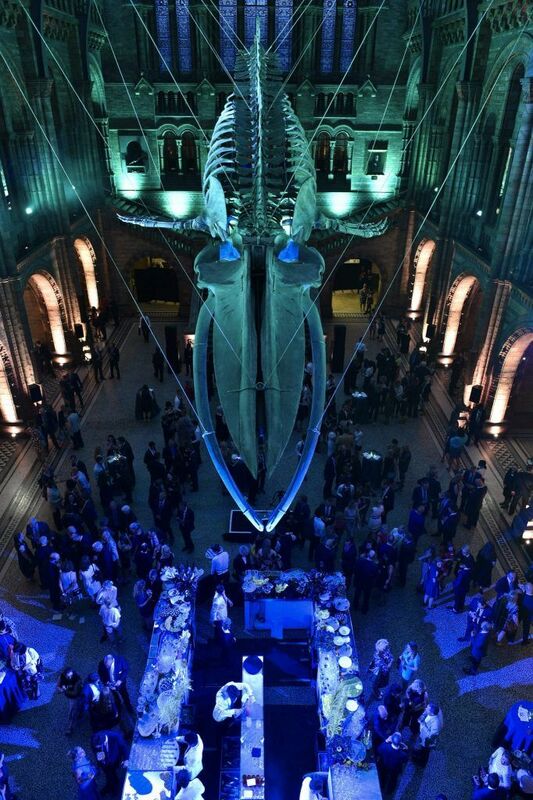 The new installation provides event guests with a truly unique opportunity to dine directly underneath the sweeping blue whale skeleton, complete with its own stunning lighting display designed by White Light. Hintze Hall boasts a dramatic sense of place. 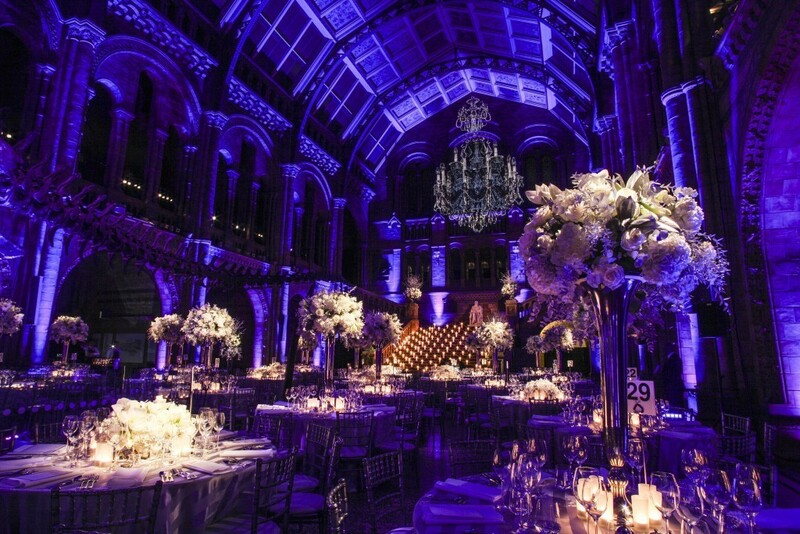 With its grand entrance leading to soaring Romanesque arches, magnificent stone staircase and large capacity, it is the ideal venue for a host of events. This venue is one of the most beloved spaces for events in London in which to hold dinners, awards ceremonies, product launches, fashion shows and private corporate events and has a capacity of 600 dinner guests or 1200 for a drinks reception. The museum also has a wealth of smaller spaces for hire such as Fossil Way and Dinosaur Way, or Earth Hall, home to the world’s most complete Stegosaurus skeleton. 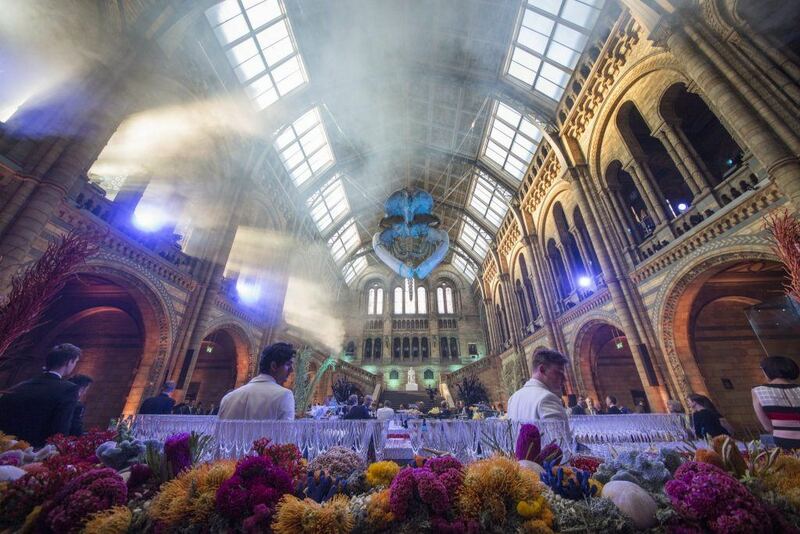 Earth Hall holds up to 400 guests for a drinks reception with space for 200 guests to dine beneath the awe-inspiring Earth sculpture.The overall capacity is boosted to 3000 guests when the whole museum is booked for exclusive use with Hintze Hall as the central venue. “This is a hugely exciting development for The Natural History Museum and we cannot wait to see the look on our guests’ faces when they see the Whale for the first time, it is an awe-inspiring new centrepiece for the space. 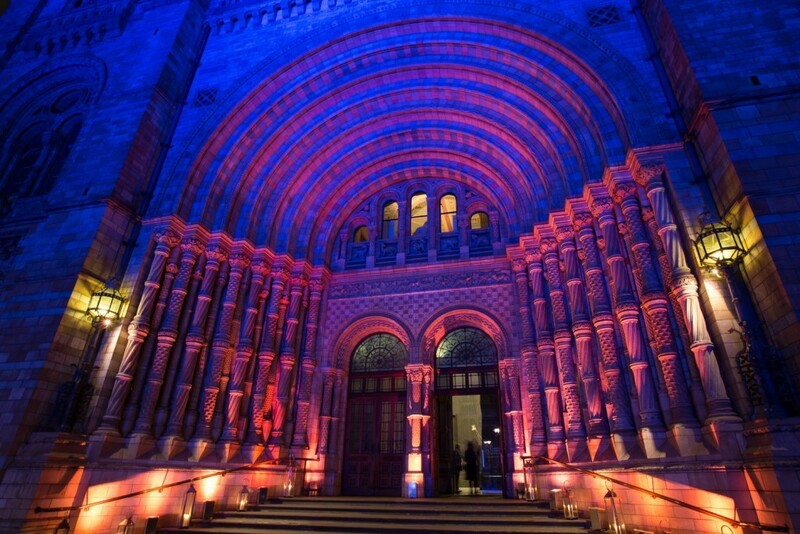 To find out more about any of the spaces at the Natural History Museum contact us to arrange your site visit.